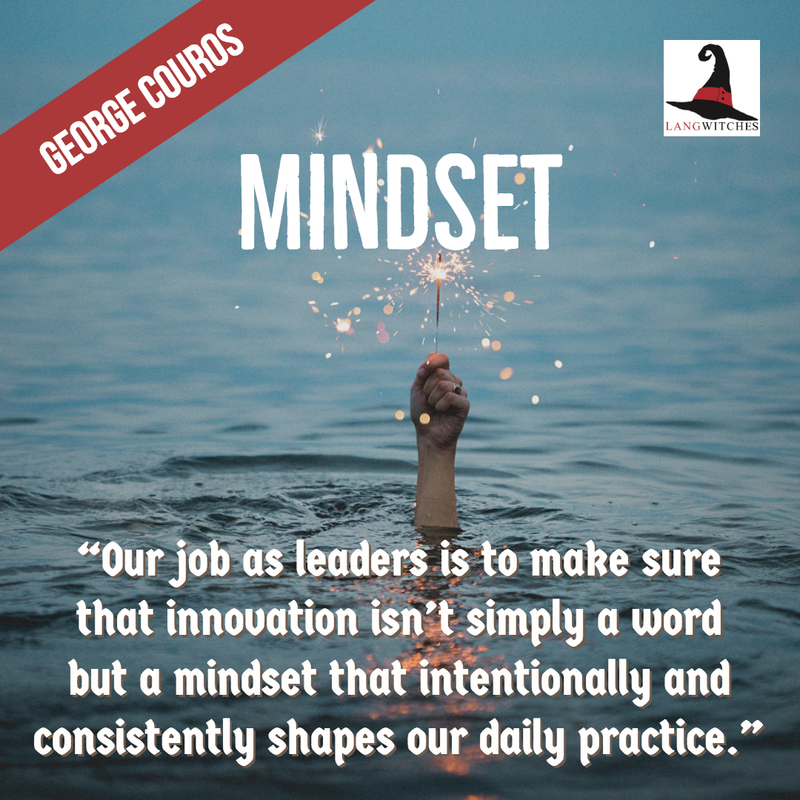 The #instagrambookstudy of George Couros’ Innovators’ Mindset continues this week with Chapters 7-14. 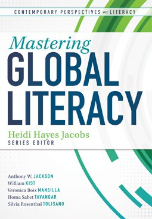 You can read my documentation of participating and learning of the introduction and chapters 1-6 in Part 1. 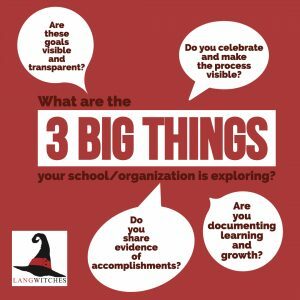 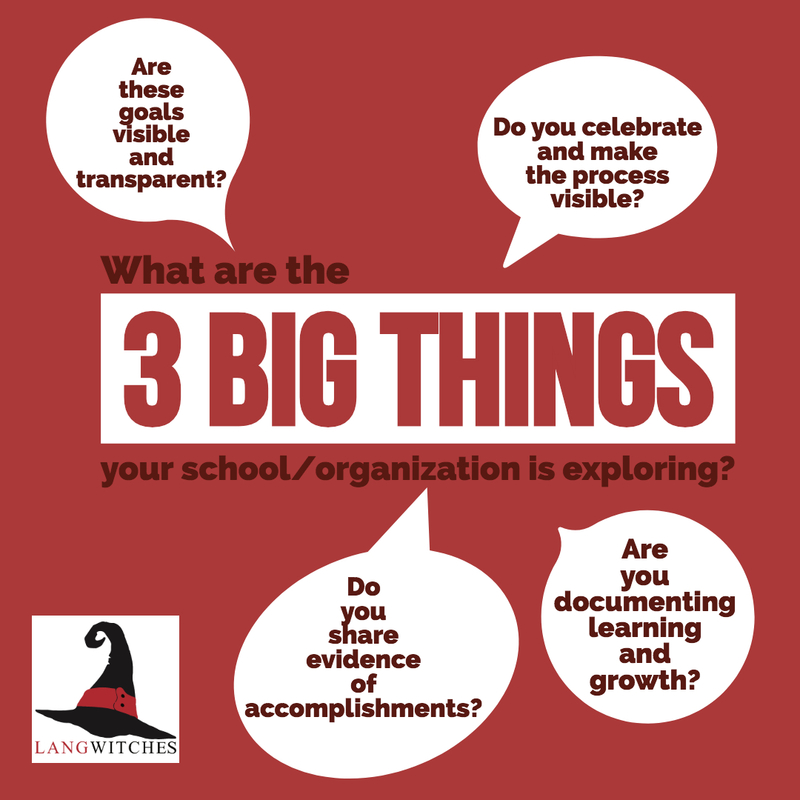 What are the 3 big things your school/organization is exploring? was still the most significant quote for me. 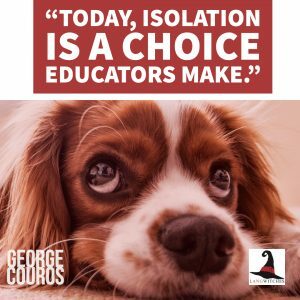 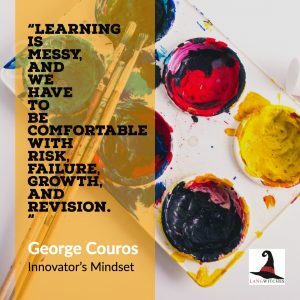 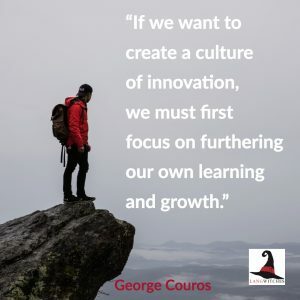 It is one thing when you don’t know what you don’t know… when you don’t know about all the opportunities to connect as a learner, as a teacher, as an educator that exist … once you know though, NOT being connected becomes a choice as @gcouros states in #innovatorsmindset … that is the game changer for me… once being connected or not be connected is a choice , the responsibility of that choice is with each individual person! 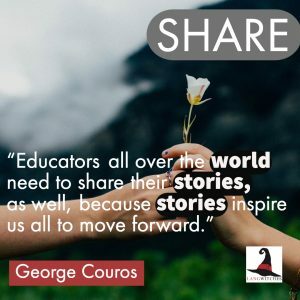 I am convinced that only by sharing our experiences, successes, failures, and research of #newforms and #bestpractices in education, will we move forward to build upon, add value and find innovative ways to teach and learn. In the UNCHARTED TERRITORIES of our profession in the 21st Century into the 22nd Century. 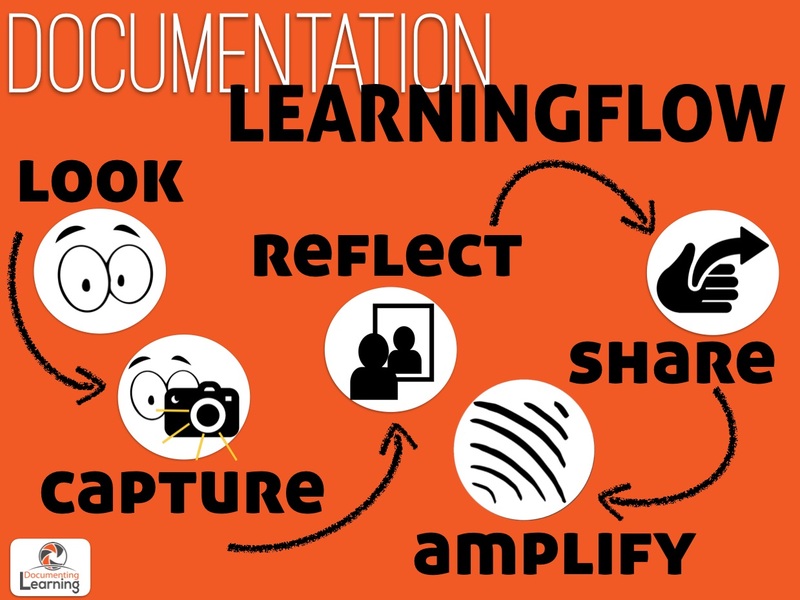 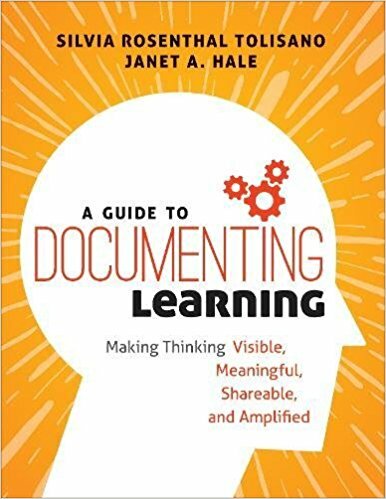 #documenting4learningstories is one way of doing that by sharing, disseminating and amplifying our continued learning as educators. 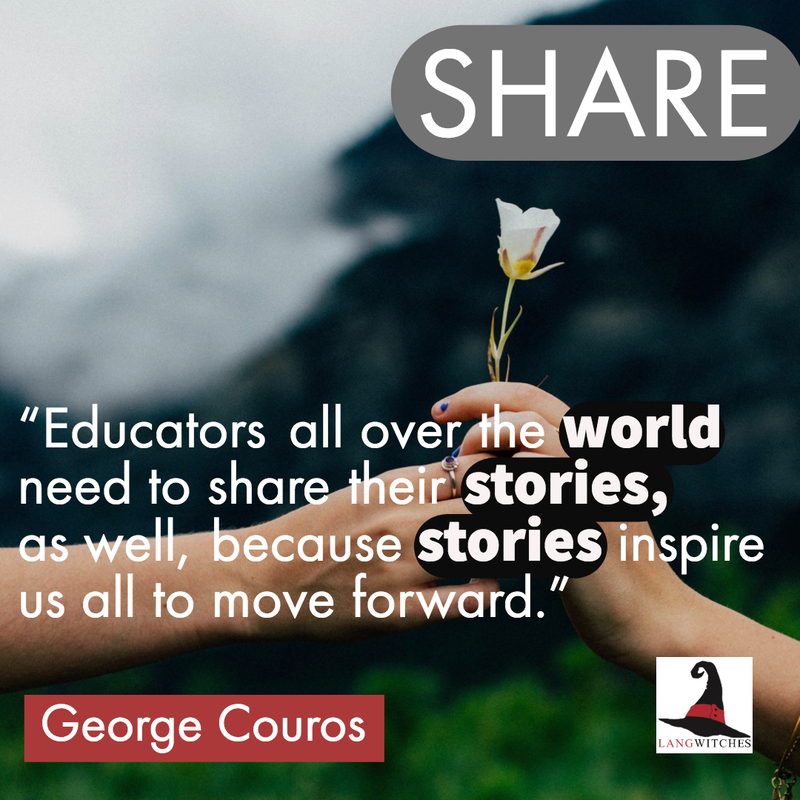 We need to become chief storytellers for our students, our work and ourselves as professionals! 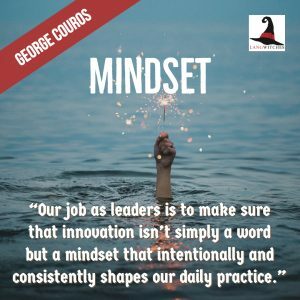 This concludes the 14 chapters of The Innovators Mindset by George Couros. Following the Documenting Learningflow Routine. 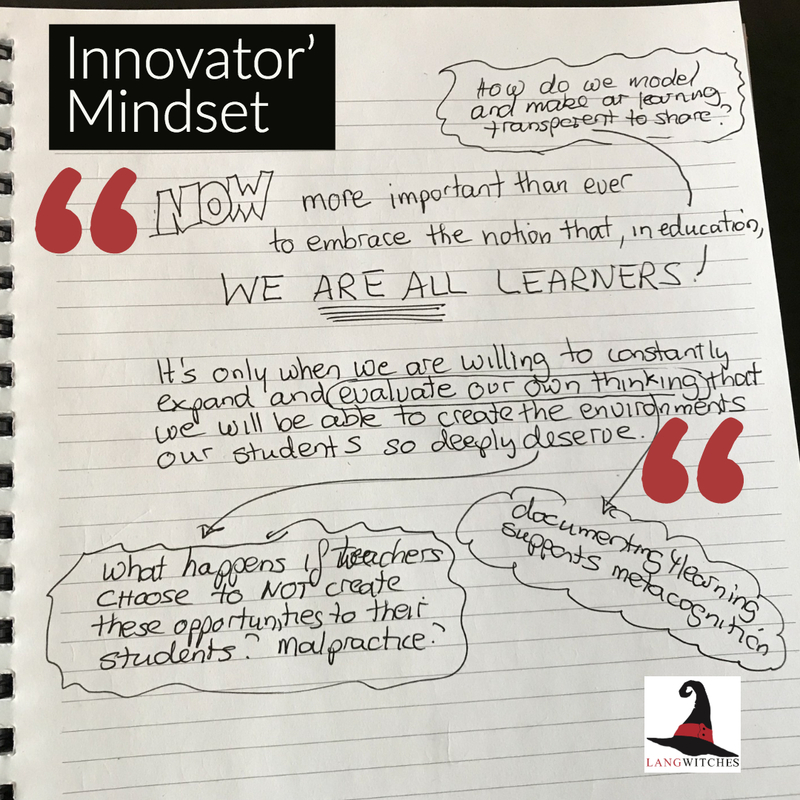 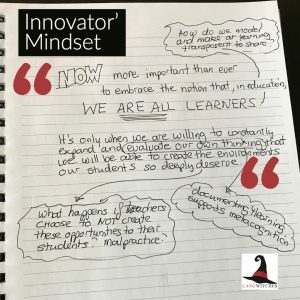 I LOOKED for learning and CAPTURED learning in these last two blog posts. 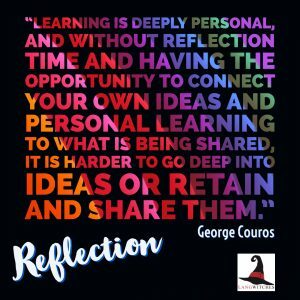 Stay tuned for my REFLECTION on learning as I SHARE and AMPLIFY my learning in an upcoming blog post.